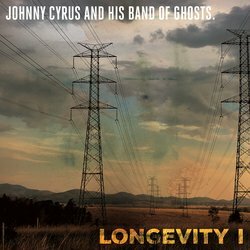 Johnny Cyrus and His Band of Ghosts. is a loose association of like minded musicians specialising in what they can only call "Cowboy Drone" - Dark Americana played by Shoegazers with a strong focus on Drone (repetition), Minimalism, Improvisation and Entering Trance State. There are currently 4 permanent members - Zac Mitchell and Tonestar Le Ru who play guitar, Joshua Dawson who plays drums, and Nathan Goodger who plays bass. There is a very Ambient feel. This is natural since the band prefers to focus on atmosphere in preference to music. The tune starts with a droning melody that is quickly nailed into place by the rhythm section, leaving the guitarists to weave around and through the melody with deliberate steps towards a climax before gently falling away, leaving a sparse open space for the listener to wander. Copyright Holder's Name Johnny Cyrus and His Band of Ghosts.